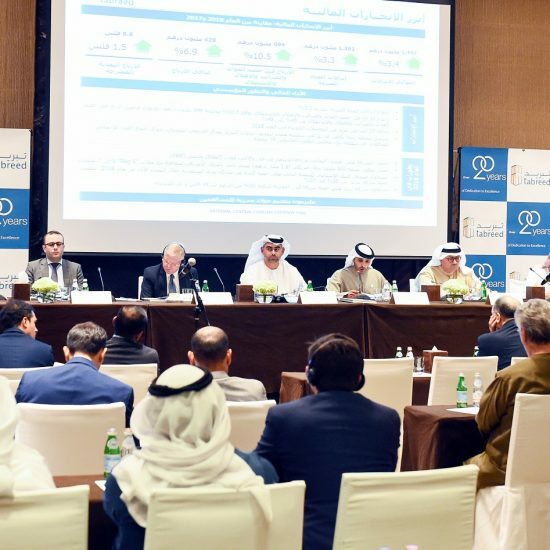 |By Arabian Post Staff| Abu Dhabi Securities Exchange (ADX) has announced the distribution of more than AED 23.4 billion in cash dividends to around 406 thousand investors on behalf of listed companies in 2018. The cash dividends paid out by listed companies increased around 5.5% compared AED 22.2 billion in the year 2017. This announcement is a confirmation of ADX’s success in providing a distinct investment climate and a stable trading environment for investors and listed companies. ADX holds a market leading position as a distributor of cash dividends to investors. Stock listed on ADX account for 5.8% of cash dividends paid out globally. This strengthens the Exchange’s position as a preferred listing destination and the high levels of competitiveness. ADX has also witnessed a rise in the net institutional investments by 4.5% in the first half of 2018, reaching AED 947 million, compared to 908 million for the same period in 2017. Additionally, the number of institutional investors registering in ADX amounted to 271 in the first half of 2018, compared to 256 in the same period of 2017, an approximate increase of 6%. This brings the total number of institutional investors in ADX to more than 7900 with 5900 being foreign institutions and 2000 local institutions. 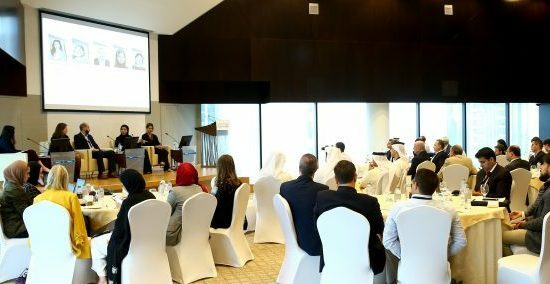 Chief Executive of ADX, Rashed Al Blooshi emphasized the Exchange’s commitment to applying the best international standards and practices, by ensuring that investors and shareholders in the listed companies receive cash dividends, which reinforces ADX’s position as one of the leading financial markets to provide a stable environment and strong investment opportunities for both foreign investors and nationals. In 2018, ADX distributed AED 23.4 billion in cash dividends to 406 thousand eligible shareholders in listed companies with 222 thousands of those investors being UAE nationals. Whereas the remaining recipients of cash dividends, 184 thousand, being foreign nationals. ADX also distributed cash dividend to 4500 domestic and foreign institutional investors. The Banking sector accounted for the highest value of cash dividends paid out, with 52.6% and a total value of AED 12.3 billion; followed by the Telecommunication sector with 30.5 % of total dividends paid out and a total value of AED 7.1 billion, and the Energy sector with 4.6 % of total dividends paid out and a value of AED 1.1 billion of the total amount of the total dividends paid out. The Real Estate sector trailed with around 4.6% of total dividends paid out and a total value of around AED 1.1 billion, and Industrial sector ranked fifth with 2.2% of total dividends paid out and a total value of around AED 529 million; whereas the Investment & Financial Services sector came in sixth place with 1.7% of total dividends paid out and a total value of AED 393 million. The Services sector followed with almost 1.7% of total dividends paid out and a total value of around AED 393 million. The Insurance sector ranked eighth with almost 1.6% of total dividends paid out and a total value of around AED 368 million, ranking at the ninth place was the Consumer staples sector with 0.5% of total dividends paid out and a total value of AED 114 million. ADX maintains its efforts in ensuring sustainable development in the Emirate of Abu Dhabi, and is committed to achieving Abu Dhabi’s plan to develop the financial services sector, attract investments and enhance the environment for doing business in the Emirate. ADX deploys the latest and most secure technology in the distribution of cash dividends. These systems are designed to encourage investors to reinvest at least part of their dividend payment back into the market, through increasing investor confidence. The market capitalization of listed companies increased by 6.5% to reach AED 485 billion by the end of the first half of 2018, compared to the same period in 2017. The market value of shares owned by UAE investors by the end of the first half of 2018 reached AED 415 billion compared to AED 383 billion in the same period of 2017, an increase of 8.5%. The market value of shares owned by foreign investors reached AED 46 billion by the end of the first half of 2018 compared to AED 43 billion during the same period of 2017, which is an increase of 7.5%. ADX made it mandatory for all listed companies to deposit the cash dividends to be distributed to shareholders in its bank account within five working days, following the decision of the General Assembly or Board of Directors, and ADX’s conditions and procedures.